As a professional writer, I work with language and words all day. First, when I write outlines and notes, then writing the first draft, and finally, when I proofread and edit. I work mostly in the Czech language, but I have also written many articles and papers in English. I am an active English speaker and I hold an English language certificate, so when the question of translating my books into English and reaching a more global market arose, my first thought was to do it myself and then hire a native English speaker for a complete proofreading. However, in the end I decided to hire a professional translator who is a native English speaker. My main reason for choosing to hire a translator was time; almost every endeavor in our lives costs either time or money. Although I might have been able to do a fair job myself, it would have taken me six months. Writing is my life and my passion, so those six months would have been six months in which I am not writing; therefore, six months in which I am not doing something I love. There was also the business side of it; I am writing two different series for two different Czech publishers, and these series have readers who are waiting for the next installment, so writing new books has to be my first priority. While these are my main reasons for hiring a professional translator, they are not the only reasons. Translator should ideally translate books from a language they know very well into their native language. Translator should ideally translate books from a language they know very well into their native language. No matter how fluently I speak and write in English, I will never do as good a job as a native speaker who does this for a living. Moreover, when translating a science fiction novel, the translator needs to not only translate the text but also use my Czech neologisms to create new words of their own. I needed to find a native speaker. I posted “Hi, I’m a sci-fi author, I’m looking for someone to translate my book,” on the “Czechlist” Facebook group, and I had five offers within the next two hours. Surprised, I started to interview the translators, and had each of them translate a sample. 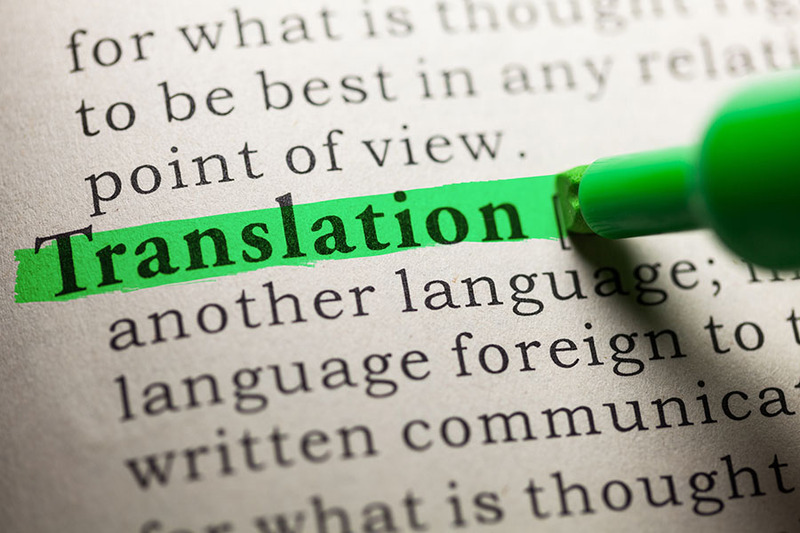 In the end, I chose a translator named Isabel who is a UK-based professional translating from Czech, Slovak, German and French, and then the whole process of translation started. Since I’m fluent in English myself and I’m also the author, I look the translations over once they have been done. The way we work together is that Isabel sends me her first draft of the translation in small parts, typically three chapters. The smaller pieces are easier to handle; reading through 29 pages rather than the whole novel keeps me fresh. When I get the file, I read through it and I mark up errors and sections which do not sound right to me. Sometimes, I was unclear in the Czech version, and sometimes I was misunderstood. These things don’t happen very often, but they can change the whole meaning of the text, so we have to be careful. Sometimes Isabel creates a new English term, something I would have done differently, and we talk about it. I understand that the translated book is going to be her work as much as mine, so I never overrule her just because “I would have done it differently”. I also know more about specific terminologies, such as military terms, so I advise on those specific terms and Isabel generally takes my word for it. A translator needs to understand idioms in both languages. Sometimes I don’t understand English idioms or specific phrases, and sometimes Isabel has trouble with the Czech ones. More often, she uses a phrase that I simply do not know, so we need to ask. It’s not easy to translate a phrase like “hodný čumáček” (a very patronizing term for a submissive husband) into English with exactly the same meaning. Similarly, the English phrase “to have a chip on the shoulder” would be difficult to translate, as there are many historical meanings and complexities associated with the idiom. Hiring a professional translator is an option that I’d recommend to everyone. The whole book has now been translated into English, and this edition will be published within the next several months. Time to translate the second book!